MR Auto SD - Full Service Auto Repair Center, Expert in Volkswagen and Audi service, Miramar, San Diego > Car Advice > Car Tips > ABS Light On, Should You Worry? So you start your car one day and that yellow/orange light that normally comes on and turns off stays lit. Now is it time to panic? In order to answer that question let’s dive into the Anti-Lock Brake system to get a better idea of what it does. The anti-lock brake system works exactly like it sounds. It prevents the brakes from locking up during heavy braking. Let’s say you’re traveling down the road at about 50 MPH, your vehicle doesn’t have ABS or it isn’t functioning and take your eyes off the road for a slit second. Now when you look up all of the sudden there’s a traffic light, it’s red and there are cars in front of you at a complete stop. Your first instinct is to slam on the brakes,but for some reason your car just keeps skidding forward violently lunging you into the car in front of you. ABS would be useful because when your brakes lock up the tires stop spinning and you lose control over steering the car. 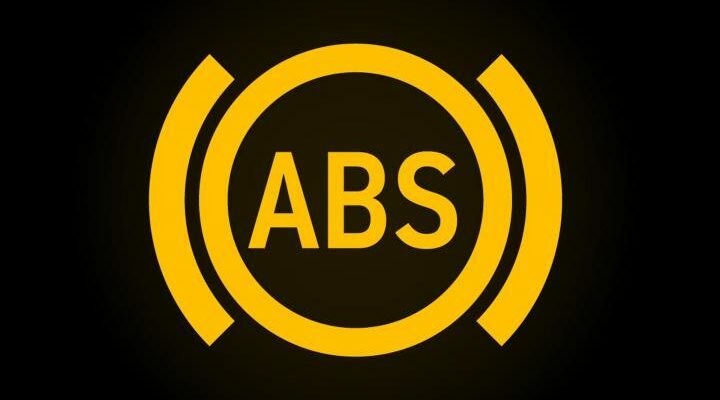 ABS will pulse the brakes correctly under heavy braking so the wheels will keep spinning, while at the same time the brakes will also work to stop the vehicle. This allows the vehicle to make emergency stops at shorter distances while also giving the driver more control to prevent them from spinning out. It does this by utilizing a series of sensors which feed information to the electronic control unit which controls hydraulic valves that can vary brake pressure to each individual wheel. So if the computer detects one wheel is moving slower than the others under heavy braking, indicating a lock up, it will relieve the brake pressure to that wheel allowing it to turn freely giving you more control. So in short, your car is probably not going to blow up if the ABS light is on and you don’t get it checked out. However it’s one of those things you would rather have working and not need it, than need it and not have it working.